Every night you’ve been haunted by visions of a man in a red hood, pleading for you to save an innocent soul. You pack your bags for Europe, but soon you’ll find yourself headed for a different destination, stranded aboard a flying ship. In the distance, an ancient castle among the snowy mountains holds the key to releasing a young girl’s spirit, but it also contains an ancient evil sleeping just under its foundations. Follow in the footsteps of the Man in Red and uncover his secrets in Timeless: The Lost Castle, a mysterious Hidden-Object Puzzle Adventure game. 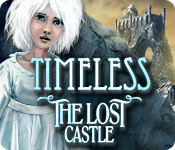 Timeless: The Lost Castle is rated 4.1 out of 5 by 120. Rated 5 out of 5 by Heather_G from Good Long Game I won't repeat what others have more eloquently said, but in a sea of shorter and shorter games, this one is an excellent value. There are a lot of locations and with few exceptions, you can backtrack to most or all of them throughout the game. I played most of it at the medium setting, but near the end switched to the easiest (something I rarely do) because the hint took a very long time to recharge at the medium level. There are some puzzles I've never seen before, so that was a treat as well, and an interesting story. Overall, a very worthy game. Rated 5 out of 5 by friedclam from Sheer Fun and Enjoyment Excellent format and pace. No annoying voice overs, puzzles different, challenging and doable, HO's varied throughout, and gratefully, the story line didn't dominate or slow down the play...this game was made to surprise, please and stand out - loved it. I will look for more by this developer, Boolat Games. Rated 5 out of 5 by arnold1049 from GOOD ENOUGH TO BE A CE The only thing keeping this game from being equivalent to a Collector's Edition is a few extras like bonus play, an interactive map, wallpapers, etc. The length and variety of actions in this game would have been worth the price of a CE. The storyline is basic good versus evil, with a stranger coming to the rescue of people being tormented by demons. Enough said. I never play with music, so I have no opinion on it. There are no voiceovers, but there was not that much dialog that had to be read. 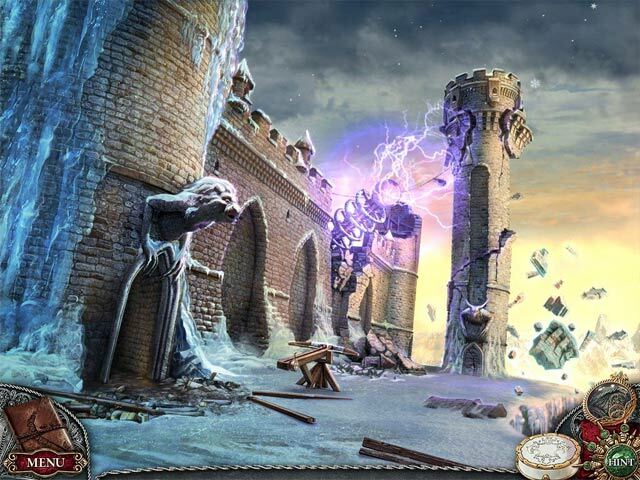 The variety of puzzles and hidden object scenes was very impressive, Some of the puzzles were fairly easy, but others were hard enough that I had to skip them. Some were unique and others were enough of a variant on standard puzzles to make them interesting and challenging. 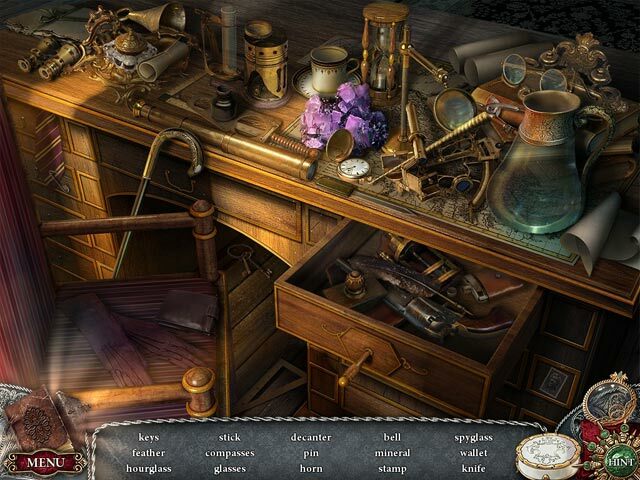 There were lots of hidden object scenes and they varied between lists and silhouettes, with items that had to be opened or moved to find other items. Definitely kept my interest. The only criticism I have is that it definitely needed at least a map, and an interactive one would have been perfect. There was a lot of back and forth and ordinarily that turns me completely against a game. The saving grace with this game was that the hint button acted as a navigator to the next active location, although it worked by taking you backwards/forwards one screen at a time. If you have a good memory and are good at remembering how you got to a certain place, this might not be a problem for you. However, after a few back and forths, I get completely lost and can barely remember the last location I visited. However, the challenge of this game and the interest it generates overcame this irritant for me. I was so impressed with this game that I immediately purchased the other game in this series, Timeless: The Forgotten Town CE. It would be nice if other Timeless games were developed, if the quality meets or exceeds this game. Rated 5 out of 5 by filmfixergal from entertaining I love it when there are quests that must be done to go forward. Rated 5 out of 5 by MisterBear from Thoroughly enjoyed it. This review is based on the SE. I found the game to be nice and long with a good mix of puzzles and HOS. There is no map so those who object to "walking all over the place" probably will not like it, but I actually think it ads to the realism. The hint feature guides you to a location without penalty. You only "use" the hint if you invoke it in a location/room with a task to be done. I like that type of hint system. This is the first time I've played any in this series. I'm looking forward to trying some of the others. Rated 5 out of 5 by simonthedog from Finally!! Something for those who want a good challenge!! I loved this game!! It is a good, solid, HO game. Nice graphics, Ok story line, lots of playing time, a variety of rooms/places to explore, a variety in the HO scenes--what set it apart for me was the difficulty. 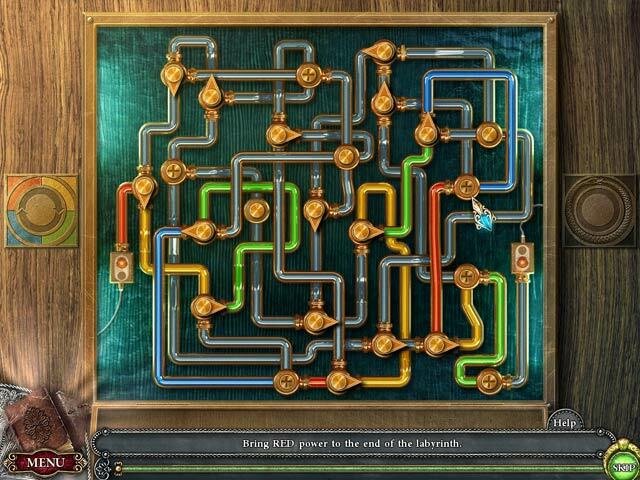 I played at expert level, and I found several puzzles to be quite challenging, as well as the game itself. I solved everything...eventually, but connecting the dots was not as obvious in this game. There is no map, which I usually like, especially if it indicates active zones where something can be done. But not having it, forced me to take more time in figuring things out for myself, and I found that refreshingly enjoyable. My favorite game of all time is MYST. This is definitely not Myst, but if you are getting a little bored of the ho hum HO game, with the same old puzzles, definitely give this a try! Rated 5 out of 5 by celticgirl03 from Great game This game was worth the money. I enjoyed every minute of the game. The puzzles were just the perfect difficulty. I don't like games that are too easy and games that are too hard can be frustrating. This game held my attention with a great storyline and awesome graphics. Rated 5 out of 5 by htothek from Spellbinding Game I really enjoyed this game and the balance between all the different elements was perfect. The puzzles were great and varied in level of challenge - would definitely recommend this one! Rated 5 out of 5 by booksnspurs from Hope There Will be More Timeless Games I really enjoyed this game for all of the positive reasons already listed in other reviews. Loved the puzzles and adventure. Unique! I felt it was somewhat challenging and kept my interest. Not too many HOG lists and I able was click through them quickly (not a HOG fan). Hope the developers continue with this series. Rated 5 out of 5 by Wandakal1 from Wow nice long standard version! Graphis and story very well done, mind challenging puzzles, not many hos but good ones. Rated 5 out of 5 by Kelly01010 from Wonderful game This game was well worth the money. I gave it all fives. I loved the first Timeless, but this one is better. I played it until I beat it and now I'm sad. I eagerly await the next one. Rated 5 out of 5 by Scarletraven from I Love Puzzles This game had a bunch of good puzzles. I also enjoyed the story line as I'm a big fan of fantasy. It had a reasonable amount of hogs, but not too many at all. I also liked that the middle setting, normal, had the occasional sparkle, instead of all or nothing. I would love more like this. Rated 5 out of 5 by esmelilith from Different Although I play a lot of games, I don't usually give reviews. This game was different, enthralling and worth the money. Rated 5 out of 5 by bishky from This game is really tricky!! I have been playing this game for a couple of hours now and you won't believe the challenges in it. They are great. Takes awhile to figure out what to do but they sure are fun. The vocals/sound are good and thank goodness for the help button as it leads you to where you need to go next. The game is drawn crisp and clean and easy to see. There is a lot of back and forth in this game but it sure is worth it. There are very few plain old hidden object scenes as most have a slight twist to them. Someone put some thought into this. Some things are a little mislabeled like "loupe" for magnifying glass but that is not a big problem. The more I play this game the better it gets. I will have to play this game several times. I hope you buy it, I think you will really enjoy it, as much a I am. Well, back to having fun!! Rated 5 out of 5 by Kirland from Wizards, Flying Machines and Dreams Become Reality Wow what else could you want. Your dream are real and you are off on a quest to find out what the man in the red robe is up too. An interesting and original plot set in a snowy fantasy world. A great blend of fantasy and sci-fi. The graphics are clear and scenes wonderful to look at. No voice-overs. I don't feel it impacted the game play in any way. There were some interactive items throughout. A bit of sleuthing needed as some items were tucked away in some unusual places. A good number of puzzles, some challenging. I did find some hidden object scenes took to much time to get through as items were so obscure they were nearly impossible to find without using the hint button. I had a great time playing this game and hope there will be more in this series. Thumbs up. Rated 5 out of 5 by krystal59 from Wow really good This game had everything and in an SE package too! Beautiful art work, great music that changed with each location, very tricky inventory objects, tons of locations and an artifact you actually used. The storyline was interesting and the game was full of puzzles. The hint system had directional arrows when you needed it and the HO scenes were clear and well drawn. You begin in an airship and then crash land on an island to continue the adventure. There are a lot of locations to explore including time portals to other areas. My only critique is that the artifact hardly glows so I would sometimes not notice that I had to use it and therefore was stuck a few times. But once I realized that I just watched it more closely. Really good game where you get to fly planes, make potions and solve many puzzles. Well worth the price and great entertainment. Would higly recommend. Rated 5 out of 5 by ChattDragonfly from Terrific Game!!! I really liked this game. It seemed like it took me forever! The mini-games were not too easy, The HO games were fun. The music and art are great. I can't say enough about this game without spoiler alerts. There were some confusing spots, but I like that if you get turned around in the game you can use the hint to just give you an idea of what direction you should go. Rated 5 out of 5 by twostepper from Outstanding Game, Loved it !!!! This was one of the best games I've played. I thought the puzzles were great with not too many HOG's. I prefer a game with a lot of puzzles and few HOG's. The puzzles were very challenging and would not been able to do them without the walkthrough!!!!! Rated 5 out of 5 by jessmom01 from Such a good game! May i have more, please? The time between really good games - even if it's only a week or 2 - really seems to drag for this game addict, but Timeless: The Lost Castle was really worth the wait. This is right up my alley, being mostly adventure play, with a just few HOscenes thrown in. So expect slower, more deliberate movement, seeking, & implementing your found items & discovered info than you would with games that are more hidden object based. This isn't a hand holder, so the gray matter's gonna be occupied and, I hope, thanking you for it. 3 modes of play allow for a good range of challenge; i played expert & was really happy with it. Graphics are very good. Music kept low in the background enhances rather than overrides the experience. There are essentially no voiceovers, but rather written character lines, & altho' i prefer vo's, this game is none the worse for lack of them. There's no map either, & personally i like it that way. The journal is not only valuable thru your adventure, but it's kinda cool looking ... ok, that doesn't matter, but i liked it lol. Puzzles there are, & most are pretty darn good. I gotta give credit to this dev for the way the storyline & gameplay are so well integrated; everywhere you go, everything you do - & there's a LOT to do - is obviously & directly related to the the developing storyline & it's goals. Man, i just love when that happens! And the whole thing ran smooth as silk, glitch-free, thus frustration-free. There's a whole lot of really fun, game-junkie play time here, folks; i was at it for hours, completely immersed, intrigued, & happy as a kid in a candy store. It's a SE, worth the price of a CE imho. I recommend at least giving this one a demo, & hope you enjoy it as much as i did. Kudos to the devs for such a great piece of work. Have fun gaming, folks! Rated 5 out of 5 by Charlotte1950 from Good hidden object/puzzle game Loved the game, it kept me very busy to get the puzzles solved. Finding things with no clue to when to use it. Loved it! Rated 5 out of 5 by fatandfrumpy from a challenge I loved it and am looking for the next one. I needed the hint button a few times more than usual. Recommend! The HOS were crowded, and the silhouettes were a real challenge. But overall one of the better ones. Rated 5 out of 5 by CathyCatfish from completed game... highly recommended for those who love a challenge! finally!! a game that actually *challenges* me to think! i LOVE that type of game and will buy every one i can get my hands on! there are no VOs, but that is not a deal-breaker for me. the graphics are quite good, the storyline reasonable... but the puzzles! oh, the puzzles! i LOVE them! some were *very* difficult and made me think for once! i also love the fact that this is more of an adventure game and light on the HOSs! i do not want HOS after HOS in my games and this one has a good mix. i do wish that the free trial included getting to the castle, because, imho, that's where the game really starts! and, the length is *excellent*! there are many doors in the castle to open so it took me quite a while (probably about 8 hours total... i didn't skip even one puzzle or go to the forums for help!) to get to the end. all in all, my kind of game! good job, devs! if you make another one like this, i guarantee you i will buy it! Rated 5 out of 5 by rolltide01 from Excellent Possibly the best game I have ever played! If there were more like this one...I would be a happy gamer!